HomeProducts FolkArt ® Stencil Value Packs - 3 Fonts, 7" x 10"
FolkArt ® Stencil Value Packs - 3 Fonts, 7" x 10"
This three-piece stencil pack includes both serif, sans serif, and italic capitalized alphabet fonts. Pair with other FolkArt stencils to created layered and dimensional designs. Use these 7”x10” stencils to craft personalized monograms or entire phrases and achieve letter-perfect results every time. 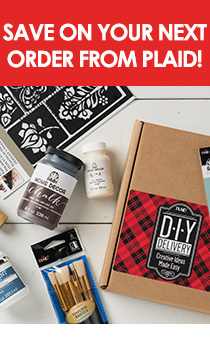 Great for use with your favorite Plaid paint – from FolkArt to Apple Barrel. These durable stencils are reusable and can be cleaned up easily with a baby wipe and paper towel. Let dry and store flat.